Farmers in Berbice will soon have access to a $24Million soil and disease testing centre that could send record rice yields even higher. The unit is a collaboration between Nand Persaud Group of Companies and the University of Guyana’s Berbice Campus and it should be in place in about three months. At the sod turning for the building today at the John’s Science Centre, President of the Central Corentyne Chamber of Commerce, Poonai Bhigroog noted the initiative is a step in the right direction in advancing agriculture in a region where it is the backbone of the economy. He explained soil testing is important for a number of reasons: farmers will be able to boost crop production, protect the environment from the use of excessive fertilizers, diagnose plant problems, improve the nutritional balance of the growing plant and save money and conserve energy by applying only the amount of fertilizer needed. Moreover, it will help in producing a healthier nation as consumers will benefit from food produced from the best and safe practices. Bhigroog also lauded the partnership with the university and the private sector and pledged the chamber’s support. 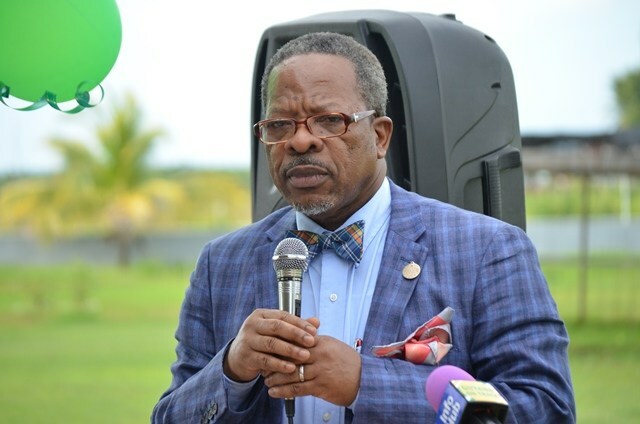 Vice Chancellor of the University of Guyana, Professor Ivelaw Griffith remarked that the university will also be embarking on an institution for food and security. Chief Executive Officer, Nand Persaud and Company Limited, Mohin Persaud said the company remains committed to improving the lives, production and productivity of farmers as well as that of the community and given that students can also benefit from the laboratory the decision was taken to construct the facility in East Berbice. Persaud is optimistic that with the use of the lab farmers in Berbice, they should be leading the country and ultimately the world in yields. Meanwhile, the Chairman of the Nand Persaud Group of Companies and Brother of Mohin, Rajendra Persaud said while the initiative is a good one from his company, he is very pleased with the actions of the university and by extension the government for partnering with a private company for a joint venture. He said the initiative is aimed at making decisions based on scientific information and will transform the agricultural industry and make it more competitive.